I love using kale in my salads. You need to work the dressing into the leaves a little bit more but it doesn’t wilt like most salad greens and does a great job of standing up to assertive ingredients. 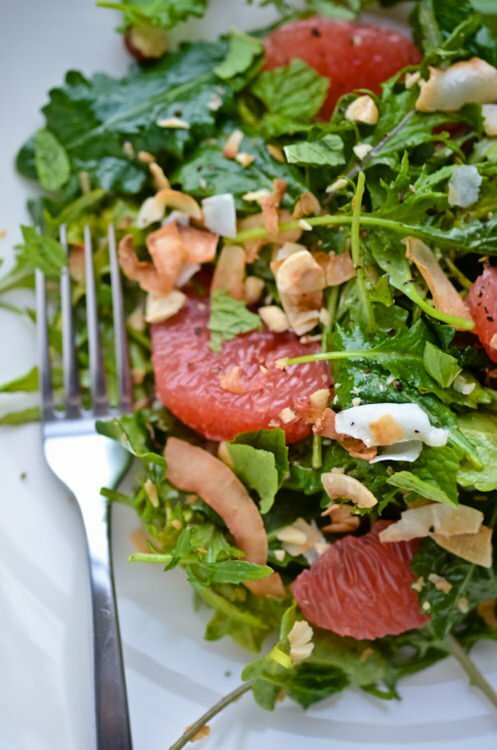 I’ve made this salad many time since and the one addition I would highly recommend is some dices avocado, it makes for a more filling lunch and the creaminess of the avocado pairs nicely with the tartness of the grapefruit. 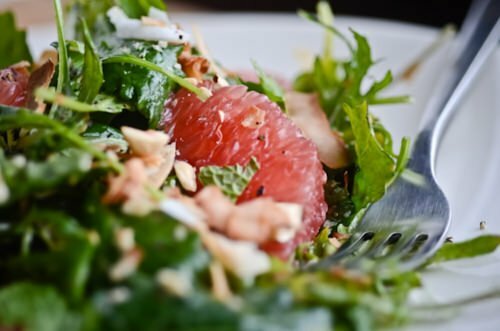 Grapefruit is high in enzymes that is thought to aid in weight loss as well as an excellent source of Vitamin C and antioxidents. It is also believed to help lower cholesterol, treat common colds, improve liver function and boost immunity. 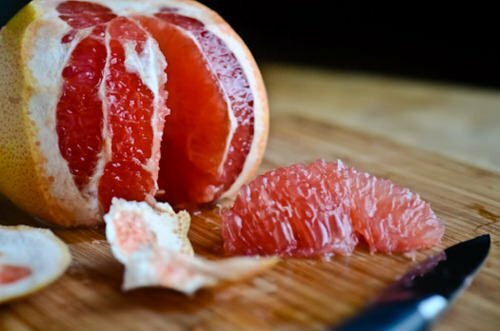 Health benefits aside, I have come to realize that there is so much more to grapefruit than cutting one in half and attacking it with a spoon. Enjoy! Combine all the ingredients for the dressing in a small bowl adding the olive oil last. Place the kale in a large mixing bowl and dress with 2 tablespoons of the dressing; massage the leaves with your hands, working the dressing into the leaves. 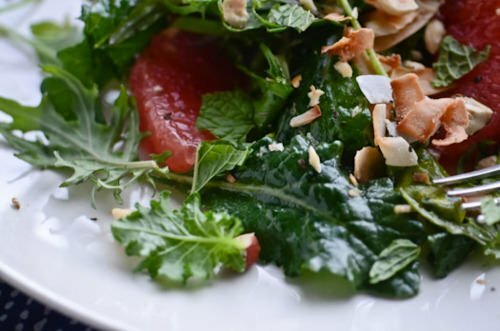 Add the grapefruit to the kale and toss gently to combine. 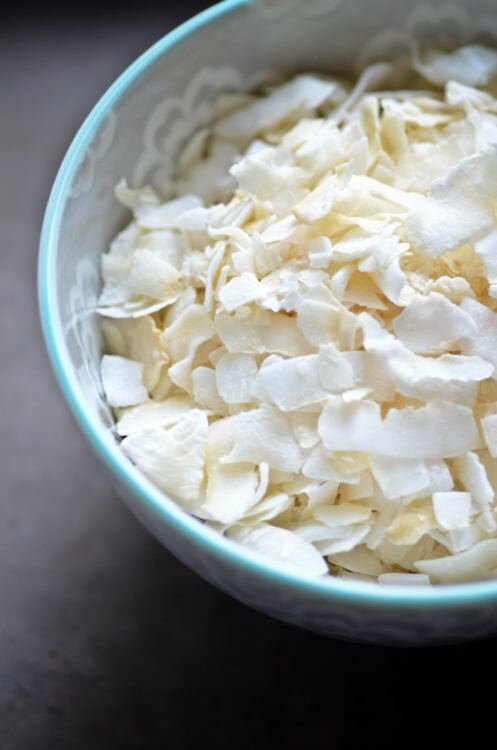 Divide the mixture between four plates and then top with the coconut and hazelnuts. Drizzle with extra dressing if desired.